1. The Design Exchange site managed by Celeste Roschuni of the Berkeley Expert Systems Technologies Laboratory under the direction of Prof. Alice Agogino. 2. 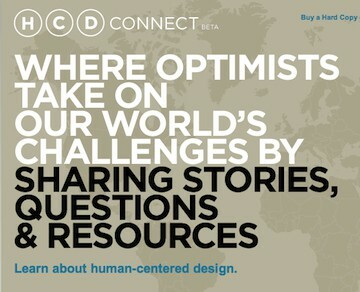 The company IDEO, whose principal Dave Kelly is associated with Stanford’s d.School, has established a non-profit effort funded by Bill and Melinda Gates called IDEO.org which has built HCDConnect.